I just came to see you to remember who I am. 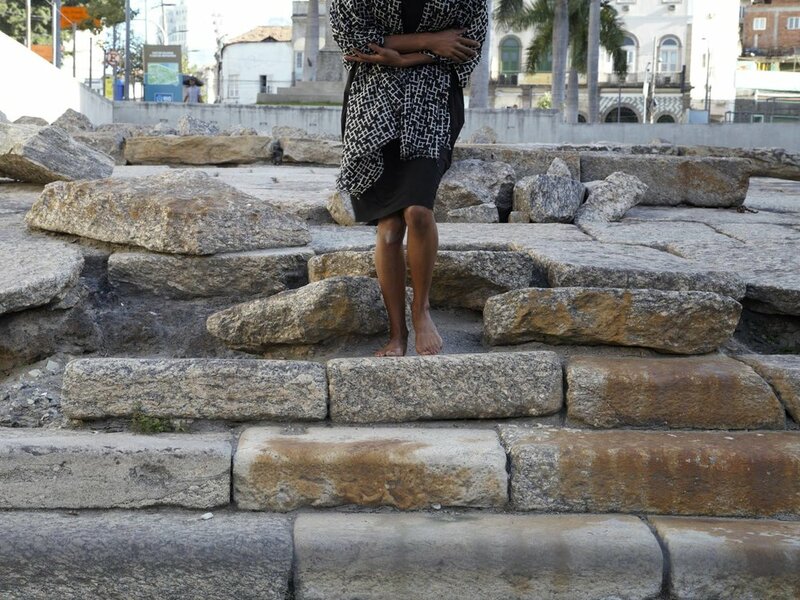 Valongo Wharf Archaeological Site is situated on Jornal do Comércio Square in the dock area of Rio de Janeiro city. The wharf started being built in 1811 to facilitate the debarkation of enslaved Africans arriving in Brazil. It is estimated that up to 900,000 African captives entered the Americas via Valongo. In physical terms the property consists of several archaeological layers. The lowest of these with floor pavings in pé de moleque style represents the remains of the Valongo Wharf. Later, more dominant layers relate to the Empress’ Wharf, constructed in 1843. The property’s characteristic is that it is a beach that was covered with extensive paving made of hewn stones of different sizes, forms and functions, with a ramp and steps leading down to the sea. It was built in an apparently simple process, not on a landfill, as was customary, but directly on the sand of the beach, following its natural contours. Valongo Wharf Archaeological Site is the globally most significant remains of a landing point of enslaved Africans in the Americas and therefore carries enormous historical as well as spiritual importance to African Americans. Valongo Wharf can therefore be seen as unique and exceptional both from a material point of view and with regard to the spiritual associations to which it is tangibly related.